Organic certified Chick Peas for export or domestic market. 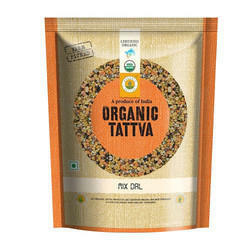 This organic product is produced by the private company of Rajasthan. We deal in all types of cooking pulses especially in chick peas, red gram etc and food grains such as rice, wheat and others in whole and in powder form. Ramswarup Upadhyay Brokers Pvt. Ltd.
Marrowfat peas have many different uses around the world. As many of us would recognize them, mushy peas with fish and chips. The better samples are normally exported to the far east where they are used as snack peas. Eon Impex (india) Pvt. Ltd. Ask for Organic pulses, dals, spices. Rajvansh Daily Needs (p) Ltd.